How Far is CLS Gokulam? Project Introduction:. 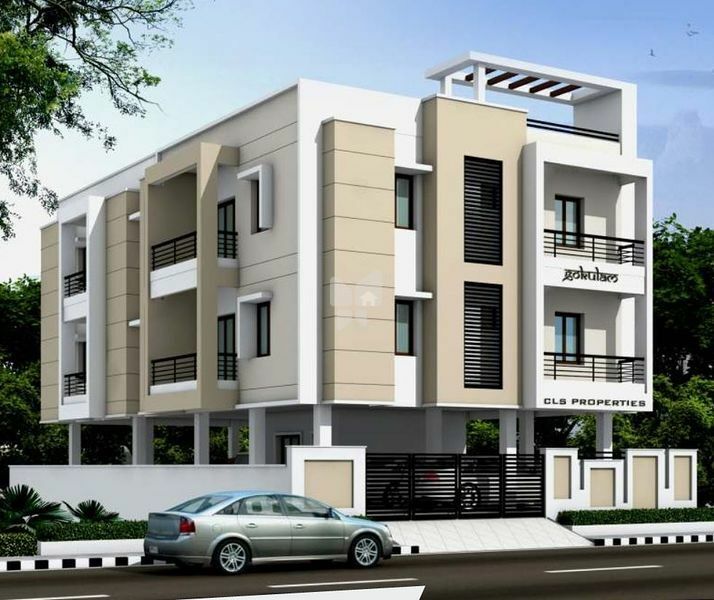 CLS Gokulam is an unmatched Residential property located in Saligramam, Chennai. The project offers plenty of benefits that includes prime location, comfortable and lavish lifestyle, great amenities, healthy surroundings and high return. Builder Information:. CLS Gokulam is built by CLS Properties. It's a leading group in real-estate market in Chennai. The team of this builder group is known for its superior work and punctual delivery of high-end Residential Apartments developed precisely in accordance with the pre-defined specifications. Units and interiors:. 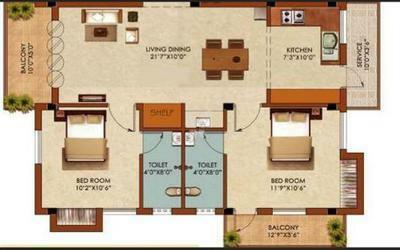 CLS Gokulam offers 2 BHK and 3 BHK Apartments of many sizes. The magnitude of area included in this property vary depending on the number of BHK's. CLS Gokulam is spread over a wide area with 2 floors. The master plan of CLS Gokulam is designed in such a way that these Apartments comprises of wide space with proper ventilation at every corner of the house. The interiors are beautifully crafted with designer tiled floor, granite counter slab in kitchen, modern sanitary fittings in the bathroom and huge windows for proper sunlight. Comforts and Amenities:. The amenities offered in CLS Gokulam are 24Hr Backup Electricity, Car Parking, Health Facilities, Lift and Vaastu / Feng Shui. All these features together assure many choices to relax, revitalise and relish at own home. Apart from that, suitable security devices are installed to ensure safety to the residents 24*7. CLS Properties is a Chennai based Real estate company, initiated in the year 2010 with a strong belief in delivering 'Comfortable Living Spaces'. Our business philosophy lies in the commitment to create quality building through innovation and knowledge with customer satisfaction as our primary goal. CLS Properties operates in building premium residential apartments and approved plot developments. We aim to stay abreast with the changing trends and standards in the building industry as materials and processes continue to evolve. CLS Properties is run by a young management team with aspirations to make your dream home a comfortable living space. We adhere to the principles of design and the broader concepts of architecture, ensuring that you get a home which not only fulfills your needs in terms of architecture and economics, but also aids in being a strong and secure foundation for the future.